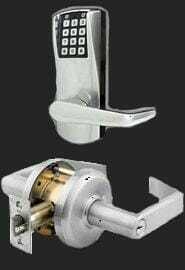 We’re commercial locksmith that specialize in master key systems, safes, access control and electronic keying. 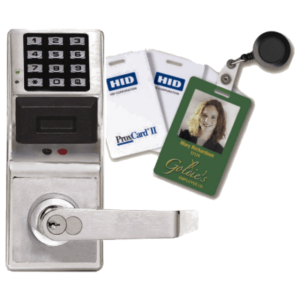 Our licensed, bonded and insured locksmiths are available to assist with commercial lock rekey, lock change, lock repairs, installation, keyless entry and much more on your commercial property. If you’re looking for a locally owned and operated Portland business that has over 10 years experience as a trusted locksmith, the team from Locksmith Monkey are on hand to deliver exceptional locksmith services for your commercial requirements across the Portland area. We do so much more than cutting keys for clients, we install and repair safes and vaults, manage master key systems, gain entry to businesses and commercial properties and can install state of the art locks and security systems that maintain your security and protect your property. We service clients from West Linn, Wilsonville, Washougal, Vancouver, Tualatin, Troutdale, Tigard, Sherwood, Oregon City, Oak Grove, Milwaukie, Lake Oswego, King City, Hillsboro, Happy Valley, Gresham, Fairview, Clackamas, Camas, Beaverton, Battle Ground, Aloha. Whether you have an emergency locksmith situation and need assistance 24/7 or you require a scheduled appointment to provide specialized attention for your business security needs, Locksmith Monkey are the Portland locksmith you can trust. Our security solutions are affordable, efficient and provide the highest level of security for your commercial premises. Our trained locksmiths have over 10 years experience in providing full locksmith services and offer a 100% guarantee for all work undertaken. Whether you need car key replacement, locks rekeyed, locks changed, locks repaired, electronic keys or emergency locksmith services, our professional and prompt technicians are Portland’s leading choice for locksmith services.